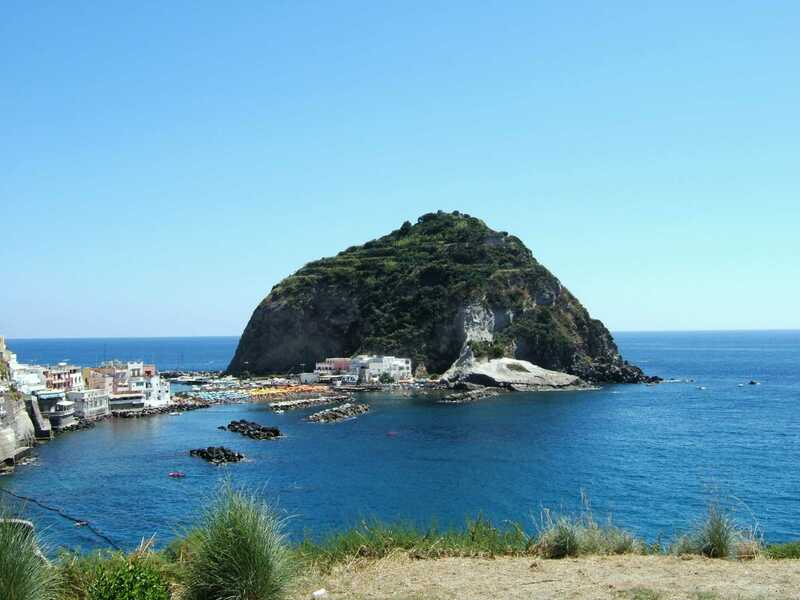 Universally known as “the green isle” on account of its lush vegetation, Ischia attracts tourists from all over the world for its sea and its remarkable spa resources. The beaches are easy to reach and the mild climate means you can bathe during much of the year. 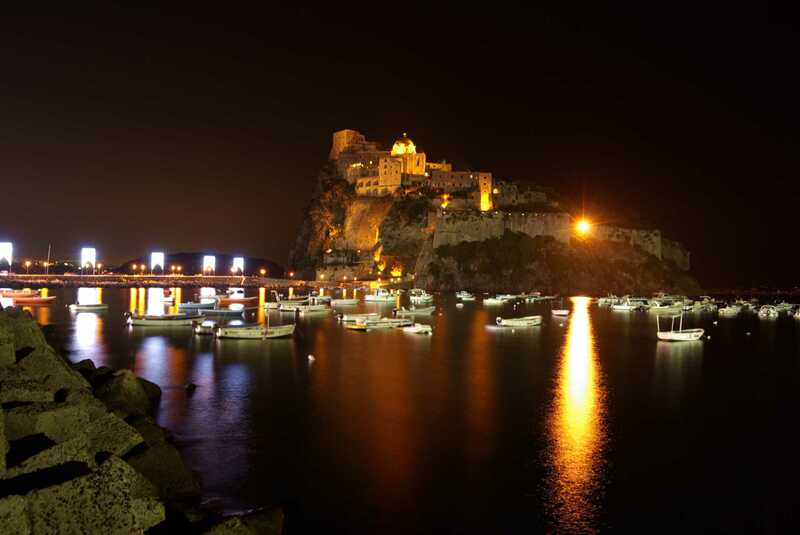 It is certainly the sea which has been the key to the island’s transformation from a fishing community to a centre of international tourism, offering an ample and diversified range of accommodation… The many bathing establishments along the shore between Ischia Porto and Ischia Ponte maintain the island’s tradition as a resort. They stand on wooden stilts, each occupying its own stretch of beach, and rent out deckchairs and beach umbrellas. 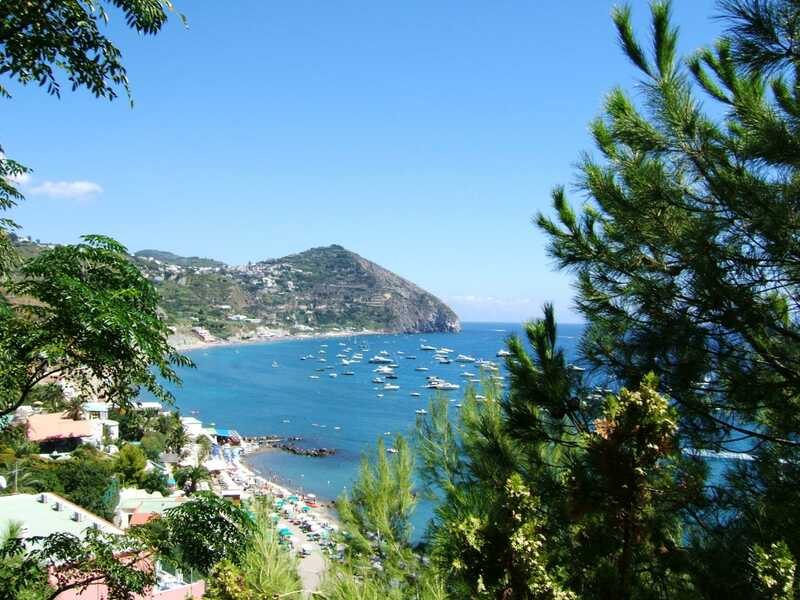 Close at hand for the centre of Ischia Porto, they are ideal for families with small children. 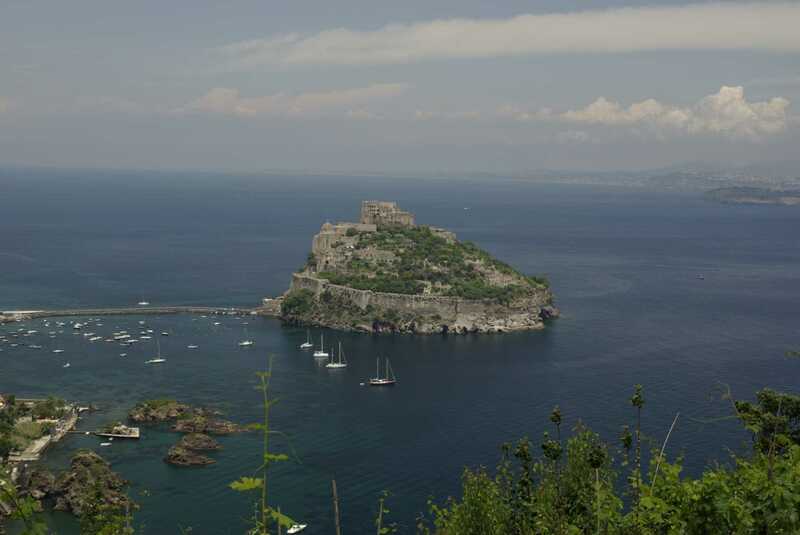 Other popular swimming spots in this part of the island are the beaches called Ischia, for the high life degli Inglesi, dei Pescatori and Cartaromana, where you can bathe in front of the Aragonese Castle. From the port it is easy to get round the island by public transport to reach all the other beaches. 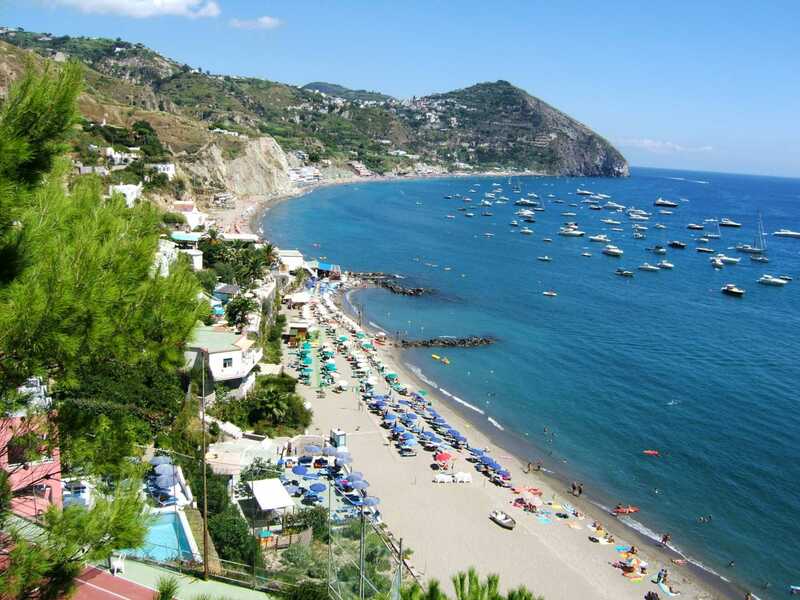 There are too many to list them all, but we can at least mention the magnificent beach of Maronti, with 2 km of fine sand and inland the mineral springs of Olmitello and Nitrodi; Sant’Angelo and Grado at Punta Sant’Angelo; Citara and Cava dell’Isola at Forio (both offering extensive facilities including bars, restaurants and water sports); San Montano, with its enchanting bay, spacious beach and frequent buses to and from Lacco Ameno and its fashionable hotels; and finally Casamicciola. If you have your own boat a trip right round the island is perfectly feasible, for there is plenty of choice for berthing, and if you are not so fortunate you can still explore the island’s alluring coastline in a hired boat. over the island, not to mention innumerable individual springs, stufas and fumaroles. The Latin author Strabo referred to this diversity as “a gold mine”, and nowadays it is enhanced by modern treatment centres set in appealing natural settings. In the famous thermal parks hot swimming pools, saunas, jacuzzis, Japanese and Turkish baths, facilities for beauty and medical care, restaurants and snack bars are immersed in beautifully tended gardens with luxuriant vegetation, with your own deckchair and umbrella at your disposal on the seashore. Nor should we forget the areas dedicated to fitness and well-being, not only in the leading hotels but also in many of the smaller, familyrun establishments. 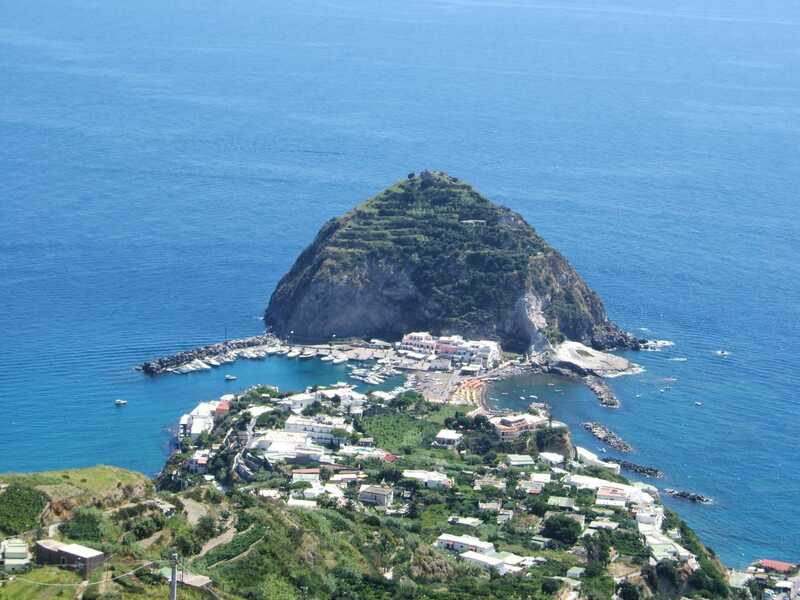 Indeed, anyone who comes to Ischia intent on recharging body and mind has only too much to choose from! by King Alfonso I of Aragona in 1438, the Castle is in realty a citadel, with streets, churches, a gaol and even a small, out of the way hotel. 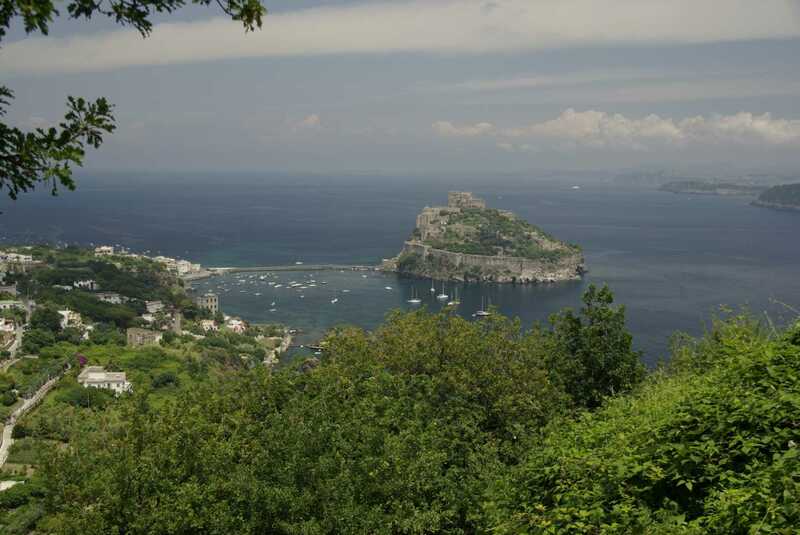 There is a magnificent panorama from the terraces suspended high over the sea. At Lacco Ameno you should visit the sanctuary of Santa Restituta. The crypt gives access to the remains of a palaeochristian basilica with finds which narrate the island’s history from the Greeks to the early Christians. In the Archaeological Museum of Pithecusae close by, vases and jewels are evidence of the extensive network of trading carried on by the Pithecusans, Ischia’s first inhabitants. Finally there is the Church of the Soccorso at Forio d’Ischia, where sailors came to give thanks for delivery from danger on the seas. Situated on a west-facing promontory, the church’s simple white façade stands out boldly against the blue of the surrounding sea.